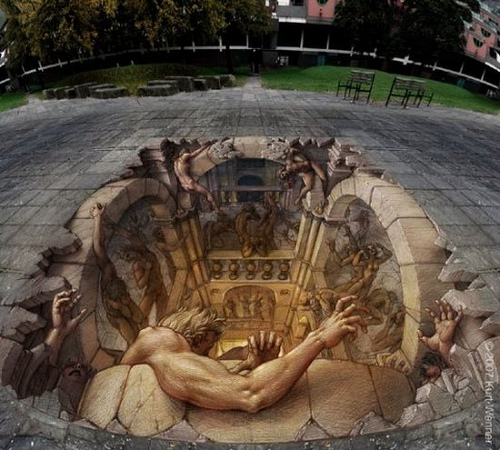 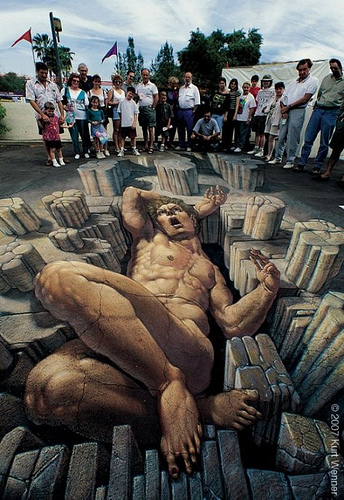 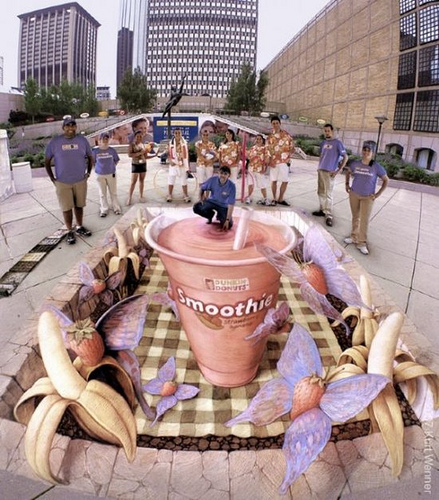 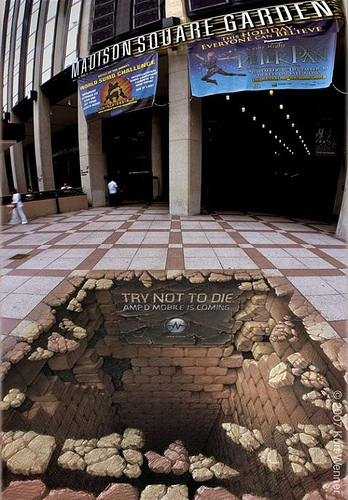 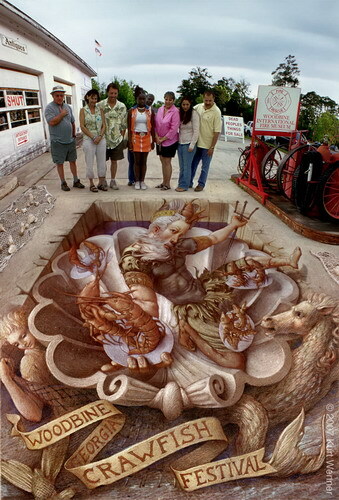 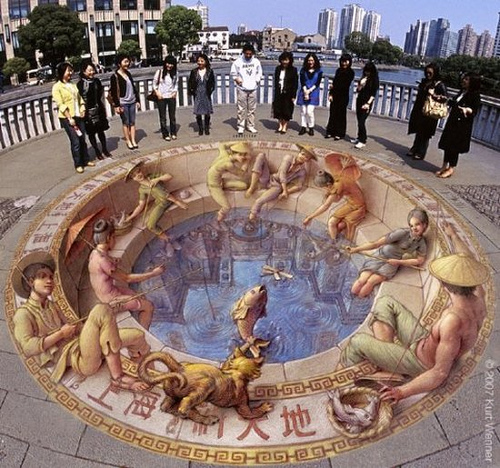 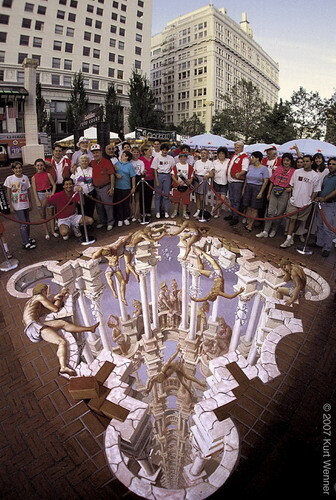 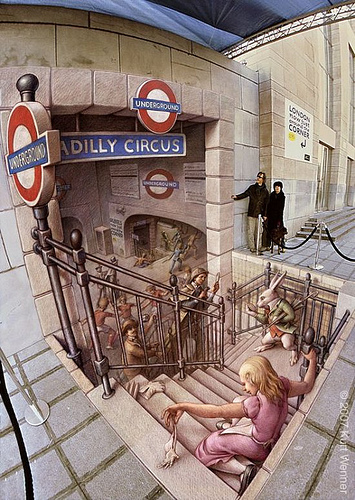 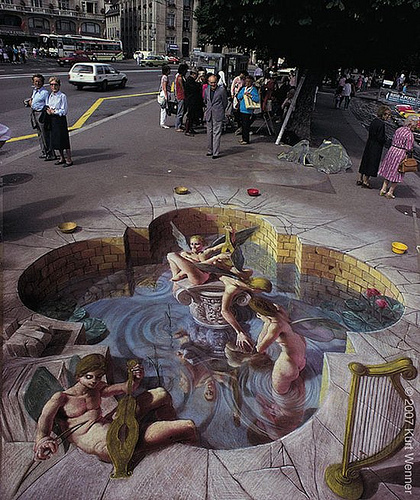 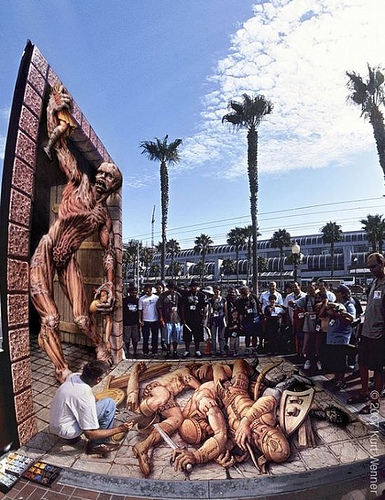 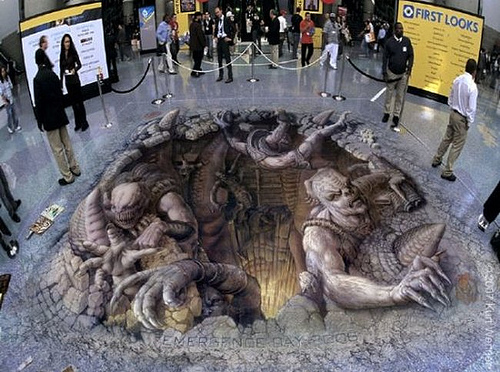 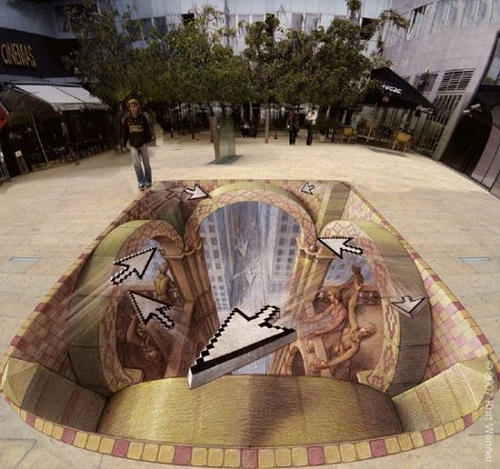 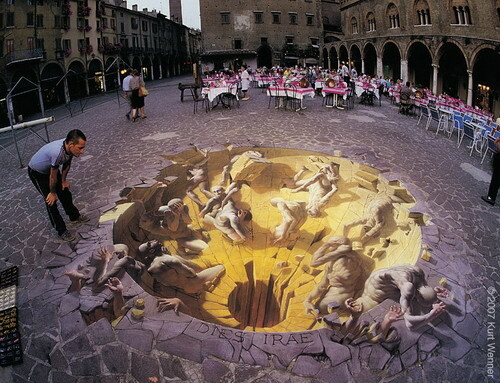 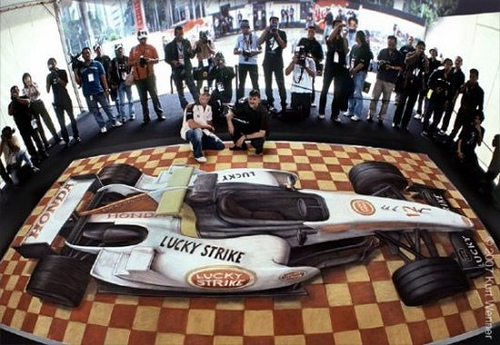 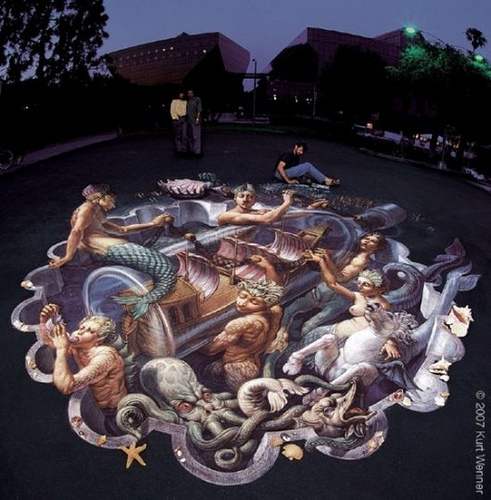 20 amazing 3D street paintings will be presented here. 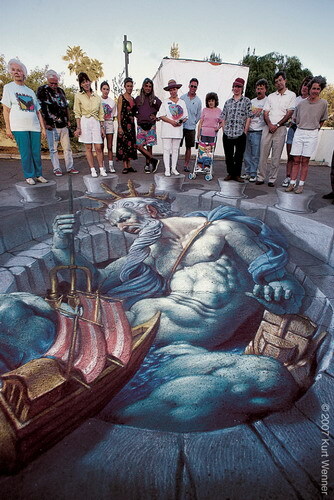 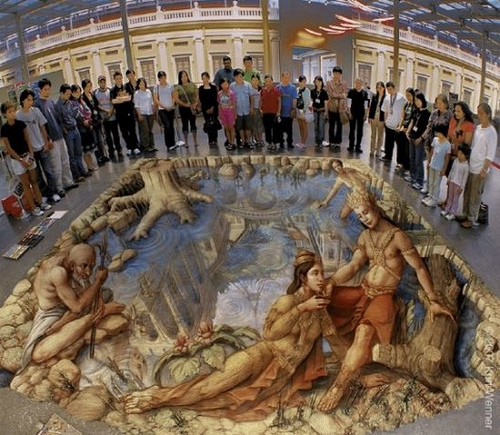 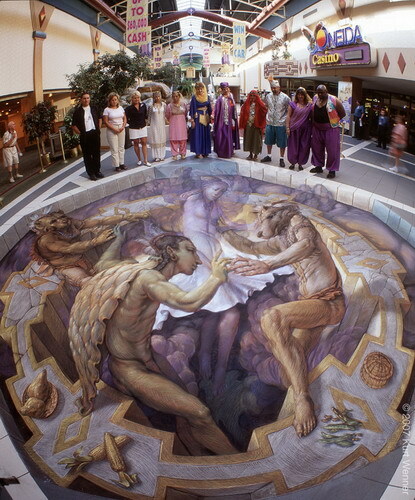 Most of them are made by Kurt Wenner and the other is collected cross internet. 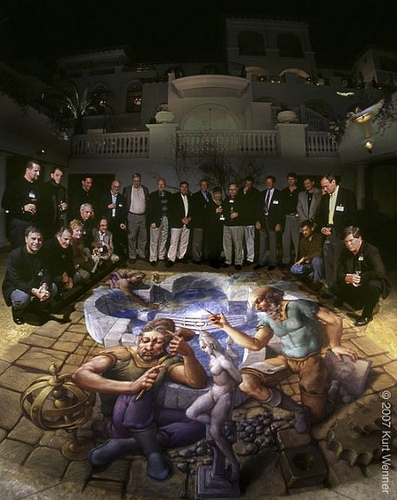 The theme of painting are various, from classical figures and stories to advertising campaigns or astonish onlookers. 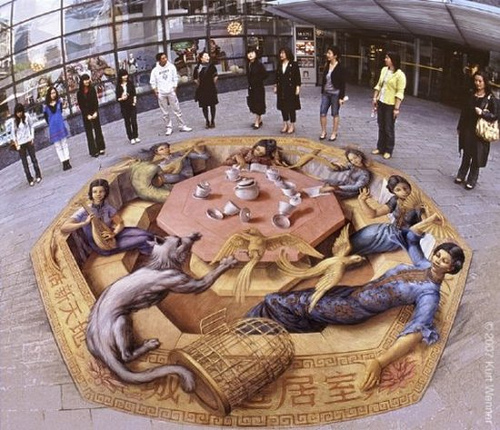 Some of them are really 3D-ish and is hard to believe the painting is actually made on the horizontal surface.